In a bowl mix together the mayonnaise, lime juice and zest. 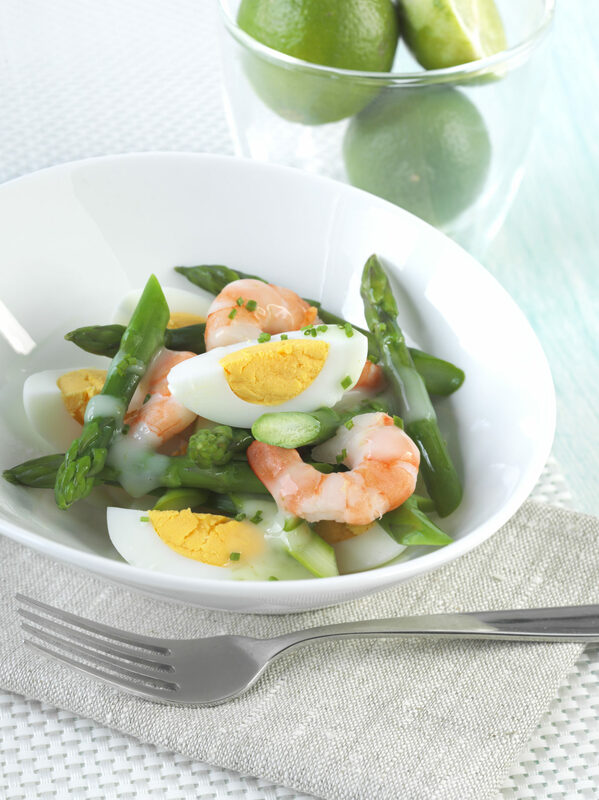 Arrange eggs, asparagus and prawns onto a plate and drizzle with lime mayonnaise, sprinkle with chives. Tip: Serve with toasted sourdough bread or boiled new potatoes.